The new Intel NUC range currently features two systems in the form of the Intel NUC5CPYH that is equipped with a 1.6 GHz Intel Celeron N3050 dual-core processor that measures 4 x 4 inches in size. Together with the Intel NUC5PPYH that is fitted with a 1.6 GHz Intel Pentium N3700 quad-core processor. Both chips are 14nm, 64-bit chips and both systems are capable of being supported by up to 8GB of RAM. 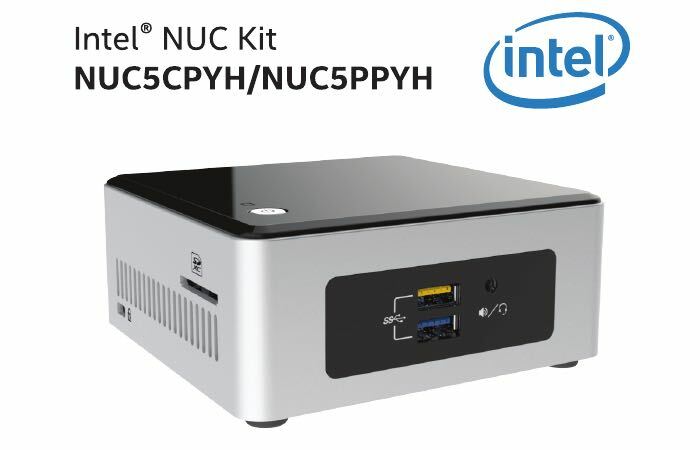 The Intel NUC5CPYH mini PC is expected to be available any day w priced at $140 and the slightly more powerful NUC5PPYH for about $180, and is available to pre-order from the likes of MacMall and both are expected to be available from June 8th 2015. 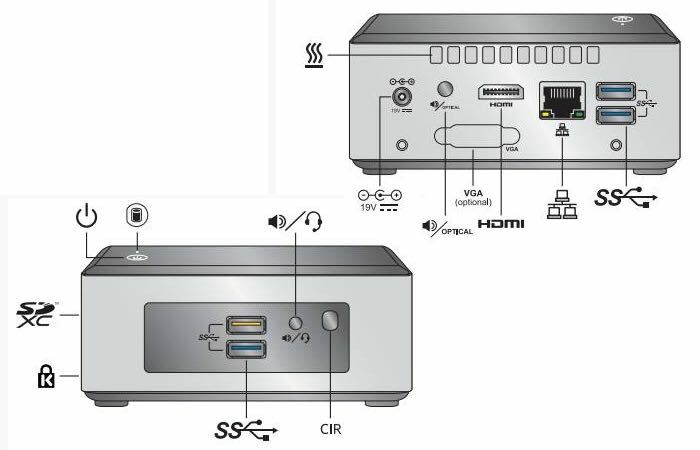 Other features of the systems include 4 x USB 3.0 ports, 1 xHDMI, 1 x Gigabit Ethernet as well as a handy SD card reader. Together with a 2.5 inch hard drive or solid state disk (SSD), support for a laptop-sized DDR3L memory stick, an M.2 card slot offering connectivity via 802.11ac WiFi and Bluetooth 4.0 wireless.